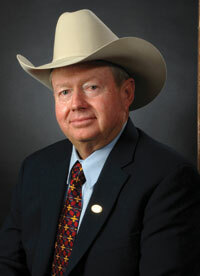 Andy has been selling ranches in Arizona since 1978 (40 years). Andy is a 3rd generation rancher who lives in Cottonwood, Arizona. He and his family have been in the cattle ranching business in north central Arizona since 1922. The property consists of 104.511 surveyed acres. Approximately 2/3rds of the property is located northeast of I-17 with the balance being located southeast of I-17. The property adjoins State Trust lands on its western, southern, eastern and northeastern property boundary. 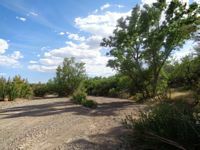 The Agua Fria River runs through the middle of the property. Elevation is approximately 3,700’ with level to gently rolling topography. The Walking L Ranch remains to be one of the last operating cattle ranches headquartered right in Wickenburg. Wickenburg, once known as the dude ranch capital of the world, is well known throughout the world as a team roping and horse enthusiast destination during the winter. Current ownership has done a magnificent job in maintaining and improving the ranch affording a new owner the chance to step right into this turnkey ranch. Whether as a continued cattle ranch or other uses such as an executive retreat– you will not find too many ranches around like the Walking L.
The Chambers Ranch is located approximately 20 miles northeast of Flagstaff in Coconino County, Arizona. 17,496 deeded acres, 40,962 total acres. The Long Meadow Ranch is one of the finest agricultural offerings in the Southwestern United States. 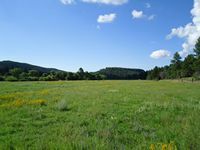 Located 22 miles northwest of downtown Prescott, the ranch’s 2,151.01± deeded acres include approximately 200± acres of irrigated land – of which 120± acres are sub-irrigated. The balance of the land is tremendously productive native grass. The ranch is located outside of the Prescott AMA and has an abundance of water with eight wells which produce between 10 and 550 GPM, there is also a Certificate of Water Adequacy from the Arizona Department of Water Resources for residential and non-residential uses of 3,156.4 acre feet annually. This offering provides an excellent investment opportunity. The ranch is highly improved and will allow a new owner substantial depreciation. The ranch’s deeded land in conjunction with the adjacent Prescott National Forest grazing permit is rated at 200± head cow/calf year long. The ranch has an excellent herd of predominantly black cattle. In addition to the grazing, the ranch has historically baled fescue and red clover hay on the irrigated land. The ranch is in an area of some of the most exclusive developments in northern Arizona such as American Ranch, Las Vegas Ranch, Talking Rock Ranch, Inscription Canyon Ranch and Crossroads Ranch making the ranch a great candidate for a conservation easement. The Long Meadow is also favorable for the sportsman as it is home to one of the state’s premier antelope herds, chukker and pheasant have also been raised for hunting. This ranch has it all and is offered turnkey for a new owner. The historic Yolo Ranch encompasses over 110,000 acres of high-country land in Arizona. Its Headquarters is located in a large and scenic mountain meadow surrounded by mature Ponderosa pines sited at a perfect 5,858 foot elevation. The Yolo combines majestic mountains and astonishing canyons, grassy sub-irrigated meadows and rolling mesa pastures, dramatic rocky hillsides and boulder-protected swimming holes all in one place. 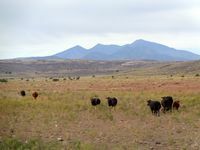 Located in Yavapai County, cattle bearing the Yolo brand continue to graze the ranch much as they have since Tip Wilder established the classic Yolo brand in 1885. With four cattle camps managing over 1,500 head of cattle, the ranch covers some of the most beautiful and varied country in the state. It is truly one of the finest and most enjoyable ranches in Arizona.